Award-winning novelist, short story writer, essayist, and translator Randa Jarrar has been making up stories since she was a little girl. Once she hit adolescence, she realized that in order to push her strict parents’ limits, she needed to develop better excuses to write—and better plotlines. As a queer, Muslim, Palestinian-American and proud fat femme, Jarrar lives the complexities of intersectionality. Fortunately for her readers, she infuses those complexities into her characters. 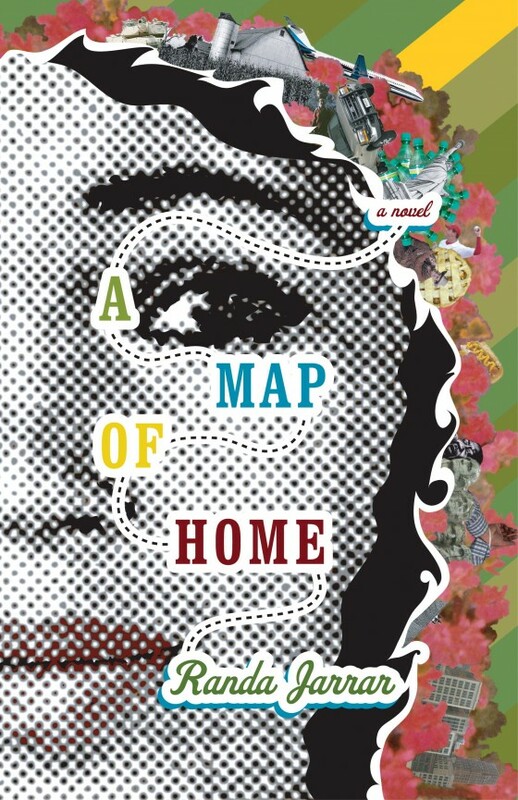 Her novel A Map of Home was published in six languages and won a slew of awards. Her latest book, Him, Me, Muhammad Ali, which comes out next month, is a collection of short stories about sets of women: friends, lovers, mothers, and daughters. She shows their connections and differences by leaving no topic unexplored—class, language, and sexuality are all at the core of the book. Her style is straightforward and direct while being multifaceted and thought-provoking. I had the chance to sit down with Jarrar to discuss her new book, the importance of representation, and why she doesn’t bake. STEPHANIE ABRAHAM: When did you realize that you wanted to tell stories about Arabs and Muslims? RANDA JARRAR: I grew up with a few different types of stories. Either they were oral stories that people around me told, or poetry, usually being recited by heart, or stories that I read in Arabic. Actually, I read an essay about this recently that explained that when young kids in the Middle East start reading Arabic, it’s a strange moment because Fusha Arabic is so different from dialectic, spoken Arabic. I really enjoyed verbal storytelling, and it was difficult for me to engage with written Arabic for a long time. Honestly, I think it’s a really strange question. People have talked so much about this. When they asked Jonathan Franzen if he would write a novel about race, he said something like, “I have Black friends,” which, first of all, wow, but then he said “no” because he had never been in love with a Black woman. So our culture has this thing where we, as in people of color, are constantly expected to mold and bend and imagine ourselves as a straight white man. That’s the so-called hero or narrator of most media we consume. And yet supposedly “our greatest American novelist” can’t even imagine creating an other character because he’s never been in love with a Black woman. Those stretches and that openly racist rhetoric is part of why I write Arab-American characters. Besides, who’s to say my books aren’t about whiteness or a critique of whiteness in some way? I love the way you incorporate history into your stories with sometimes as little as one sentence. It’s so subtle, yet it really stands out. Is that intentional? I write stories about Arabs, Arab-Americans, and Muslims. These are characters who are not typically portrayed in stories, unless they’re in the news, or being portrayed in a negative way, or as sidekicks. So I’m writing about people who have been historically wronged on so many levels, from the way they’re portrayed, to the resource theft they’ve experienced and the land that they get to live on—or don’t get to live on—to what space they’re allowed to occupy in the larger universal imagination. So it’s important for me to make connections between history or things that we tend to think of as bigger than ourselves with a moment or a character who might not seem like an important part of history. Everything is connected, so why not call that stuff out or pull out those threads and hold them up to the light for us to look at? Muhammad Ali is a really interesting and very significant set of names. Modern Egypt was headed by Muhammad Ali—he was the self-declared leader in the first part of the 19th century under the Ottomans, and no one really knows what his ethnic background was. Then there is Muhammad Ali, the fighter, who was just amazing and never apologetic about being Muslim. And then I liked the musical quality of the title. 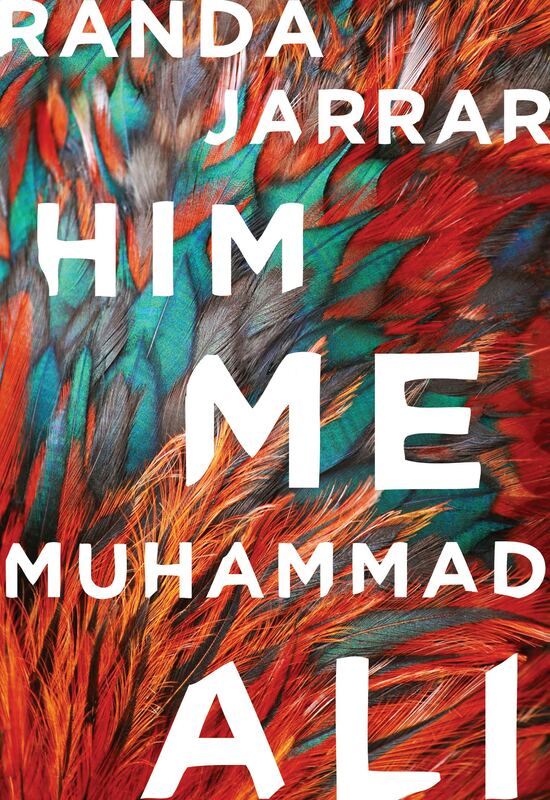 I also really like that it’s about him, the father, me, the female narrator, and Muhammad Ali—spoiler—the mother in the story. 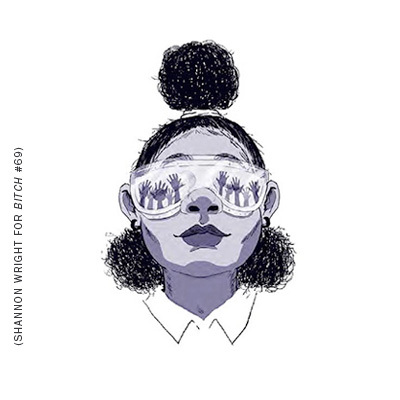 So it’s about the creative and the self and all of those connections: colonialism, national and civil rights movements, feminist movements, the agency of a girl child, being stuck between him and Muhammad Ali, between two strong and difficult forces. It felt like a title that could do so many different things at the same time, and that’s what I’m into. I’m really into things that are deceptively simple. I love that the female protagonists in your stories are often in search of life on their own terms. I assume that’s deliberate? Yes. It partly comes from my journey of trying to find a way out of a restrictive family of origin without throwing it all away. The difficult work of continuing to be in touch with your community and family, and then to create your own family, and to do all of that with your own agency and well-being in mind. Also, it makes for good narrative to have characters who are driven. I like them to live on the fringes, so they get to see things more clearly, without having them completely outside of society because that would just result in their own weird myopic way of seeing things. These characters are part of communities, families, and neighborhoods, but they’re at the very edge of them. If you stand at the edge of anywhere you can see all the way to the center and then to the other side, so it’s the best place for a character to be. In a few of your stories you address the shame that women carry in our bodies. Can you talk about why that’s important to you? The more I read about consent and how to teach young people about consent, the more I wish that was how it was everywhere. That we all just grew up thinking, Oh, this is my body. These are my borders, my boundaries. I’m very interested in knowing how growing up like that would change the concept of shame. So anyone who transgresses those boundaries—that’s where the shame should land. Instead what ends up happening is we carry it. Once we start to talk about our pain and give language to it, it becomes communal and lessens the value and shame factor. Shame thrives on secrets and saving face. Ultimately, women are so strong that sometimes we think, I’m just ashamed that I let that happen to me. But what’s one person against such a huge system that supports negative things happening to you over and over again? And an empire that counts on the bodies of women and people of color in order to continue? How could that be one person’s fault? That’s something that I was wanting to work through and talk about in the collection. The teen protagonist in “Lost in Freakin’ Yonkers” closes the story pleading because she’s broke, pregnant, estranged from her family, been hit by every man who’s ever claimed to love her—and because there’s not a single book by an Arab woman in her college library. How does the last part fit in? The complete lack of reflection makes you wonder whether you’re real, if your pain is real, whether you deserve to be alive. If all you see and read are negative portrayals of people like you, and your experience of love and life is violence—being bombed, being refugeed, being beaten, being raped—then at some point you might start thinking that you deserve all that. And that the reason you don’t have a voice is because nobody cares about what you have to say. So when there isn’t a single book written by an Arab woman in your college library, does that mean there isn’t a single book written by an Arab woman? I mean you can look it up and see that, yes, there are books, they do exist, but if you’re not able to read them, do they exist? I think we’re talking about the importance of being able to access narratives that reflect you. It’s a life or death situation because if you feel as if you don’t exist and you’re not reflected, then what’s the point of continuing to exist? But when you do find those narratives, it’s so life-affirming. Just reading someone from your own background experiencing something you’ve experienced, which could include just going for a walk or sitting down, not even anything super meaningful, just existing, and then to go to narrative with meaningful moments, to connections, to dialogue, to real life, then you can vibrate back. All of that creates a sort of throbbing, like a heartbeat, where you and the text are interconnected, where you’re finally able to find your very self reflected, validated, and existing. How do you remember to contextualize your life and the lives of people of color within the framework of empire, U.S. imperialism, and colonialism? I’ve seen you speak on different panels at AWP [Association of Writers & Writing Programs] and the RAWI [Radius of Arab American Writers] + Mizna conference, and while those conversations are happening, you consistently lead them and bring an honesty to the discussion. I have to credit movements like Black Lives Matter. They put Black lives at the center of the conversation, and they refuse this idea that history did not happen. That should be central to liberation movements. How can we disconnect from our past? We can’t. It’s not like it was hundreds of thousands of years ago. The 1950s was not that long ago. Besides, they’ve discovered that our DNA carries memories—our DNA carries our ancestors’ memories in it. That may be why I don’t throw food away. Because my great-great grandma felt the need to hoard it. So forgetting all of that and blaming oneself just doesn’t make sense. Thinking you’re one person and you alone can fight something, or get over something, or not deal with something, is so sadly false. There’s no way you’re just an individual. You’re part of something bigger, for better or for worse. Do you think about literary citizenship? It just sounds so “Pledge of Allegiance.” We should call it something better, like “Literary Beyoncé.” That’d be better. I’m sorry. Go on. I ask because you give so much to so many communities: You run RAWI and take mentoring other writers seriously. I think it goes back to the idea of reflection and the dangers of a surface not reflecting. I want to be part of that reflection because it’s dangerous to not have it. It’s like a sourdough starter. I think you’re supposed to give 80% away and keep 20%, and just add to it, and then it grows and grows. It’s like love. You can’t just hold on to it. You have to give it and grow it. Otherwise, what’s the point? You’re going to die. You will have created all this stuff and written all of these books, and then what? I didn’t just start writing and things happened. Other women of color helped me at every step of the way. I feel like it’s my joy and job to do that too. It’s extremely rewarding. I don’t get paid a dollar, but it’s the most rewarding work that I’ve ever done. Do you bake sourdough bread? No. I’m a terrible baker. I’m too impatient, imprecise, and curious. Although, I do make very good cookies—but only because a woman of color gave me the recipe. The attack on Franzen is bogus. In the cited interview he said "If you have not had direct firsthand experience of loving a category of person—a person of a different race, a profoundly religious person, things that are real stark differences between people—I think it is very hard to dare, or necessarily even want, to write fully from the inside of a person." Does that make Franzen racist? No. It shows he has some integrity as an author. Over its many iterations, Rudyard Kipling’s story has positioned Mowgli as a God or a conflicted child. The new Disney version seeks a harmonious message.